December 7, 2016. "Who knew that Texas had such a long history of wine production, and that the state grows more Vitis species that any other region on earth? Or that one of Virginia’s oldest wineries is exporting its wine to China. Did you know that Idaho has some of the highest elevation vineyards in the country, or that one of the best domestic méthode champenoise wines comes from New Mexico? This webinar covers the lesser known wine producing states, their terroirs, grapes and future growth. 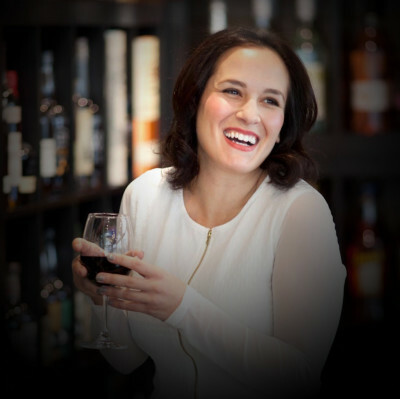 Elizabeth Miller is a retailer whose home state of New York is a successful emerging wine region." October 12, 2016. "A barrel is a bit of magic… without glue or nails, it can hold spirits almost indefinitely, making them even tastier over time. Through a stroke of serendipity and some necessity, early distillers learned their hardwood forests could replace their cumbersome amphoras, thus transforming the future of spirits forever. In this webinar, we’ll cover how and why barrels are used in spirits production, varying styles and applications. We’ll also discuss current issues like the limited supply bank of barrels that distillers are grappling with, and the trend in very creatively re-purposing barrels for interesting projects, giving some barrels nine lives! Elizabeth Miller is a New York retailer who has happily traveled to many distilleries and observed spirits barrels used in the most unexpected and inspiring of ways." May 14, 2016. "As the last ice age retreated from America, soils and formations were left behind on the wine growing regions of New York, home to the only prominent AVAs once under glacial cover. Many, many years later a wine industry emerged, and today New York is the unassuming major player in the American wine industry. The state ranks third in grape and wine production, and is home to the oldest operating winery in the United States. We’ll cover the unique geological history and climates of the four main wine growing regions, Lake Erie, Finger Lakes, Hudson River Region and Long Island. Additionally, we’ll explore a wildly diverse grape repertoire that includes native Vitis labrusca, French hybrids and the vinifera wines that have established New York’s bright future." " 3 Ways to Throw a Holiday Wine and Cheese Party"
Large reception and library tasting. Women’s networking and wine education. Music and wine pairing concerts. Art show and wine tasting opening reception. Historical wine class about prohibition. Organic food and wine pairing educational dinners. Guided wine tasting and alumni reunion. Referral partner marketing open houses. Class series on multiple wine topics and skills. Art, concert and wine tasting fundraiser. Music and wine tasting fundraiser.